As some of you may know, earlier this year we launched our line of BiniChic Bags. We created the collection as a way to extend the BiniChic lifestyle into wearable goods — or in this case, exquisite bags — inspired by our homes in Barcelona and the Mediterranean island of Menorca, Spain. In our first collection — “Of Lights and Colors” — we wanted to recreate the soft palette of tones and organic shapes from the Menorcan countryside to create a range of wearable and timeless day bags. 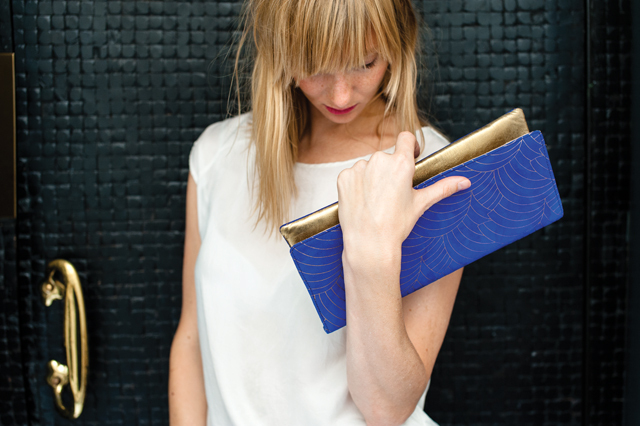 Barcelona’s fabled architecture, Modernist curves and Ironwork influenced the richly colored and original evening clutches. We chose simple, vintage-inspired shapes for our bags to serve as canvases for the silkscreened prints, our signature mark. 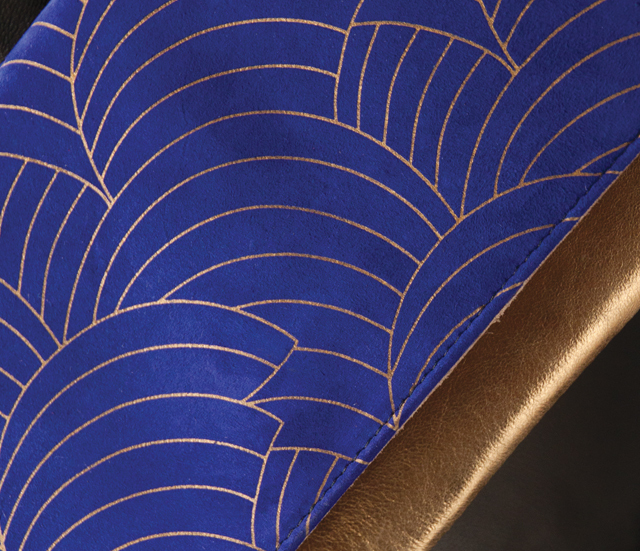 The Scallop print seen above and below these lines draws its inspiration from Art-Deco as well as Japanese art. We love the way it reminds us of fish scales — or waves — and still has a very simple and linear silhouette. It is actually a print we found in the Susan Unger archive, and we loved it so much we decided to make it one of our signature prints. We want the BiniChic woman to feel that she is wearing a unique bag that compliments her fabulous and busy lifestyle, creating the perfect accessory that will complete her look. 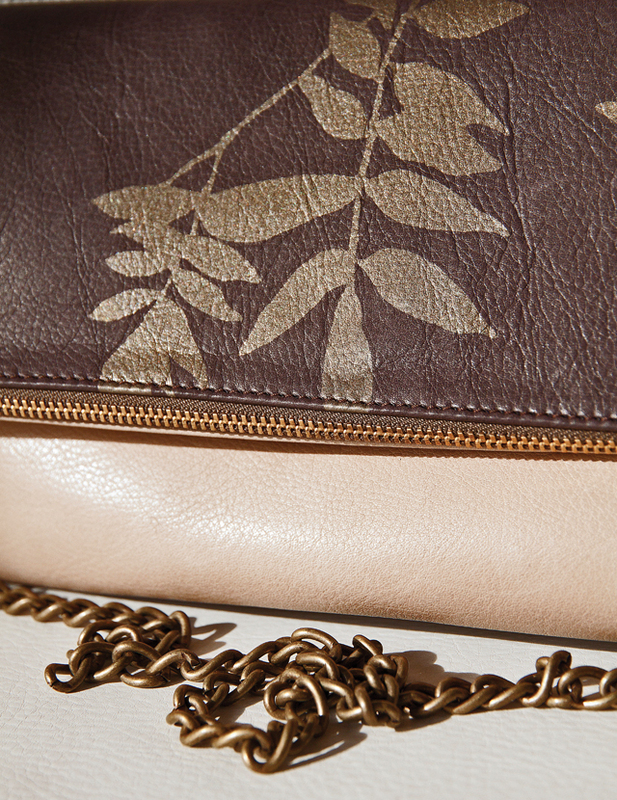 Our bags are made with the finest leathers we could find. Italian bovine hides were used for the smooth, soft and wearable day bags. Spanish goat suede for those rich, vibrant jewel tones in our night clutches and handbags. New Zealand lambskin adds an interesting, distressed texture that looks great combined with the smooth leather and the suede. 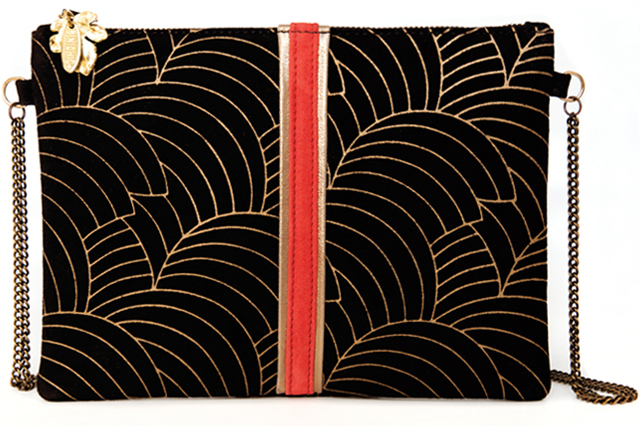 Oh, and gold painted leather, just because every girl needs a little bit of glam in her life! Each one of our bags is individually hand screened in an artisan workshop, much in the same way we printed the leathers for the collection of flats we collaborated on with Pretty Ballerinas. It is the same hand printing system used to create all the home and fashion textiles designed and produced by the Susan Unger Studio. As Susan often says: “Metallics are the new neutrals.” Chains, buttons, rings, pulls, phones and many other personal accessories in our lives feature metallic details without them being considered for special occasions. That is why we used various tones of metallic inks all carefully combined with each leather to create a range of subtle to statement purses. The elegant lifestyle photos throughout this post and on our website were taken by our talented friend Patrushka. Patrushka was born and raised on Menorca, and her photography reflects her inspiration from the islands’ rich nature and bohemian culture. With a keen eye, her lens captures the subtle light and details of her subject, giving her images a distinctive look. 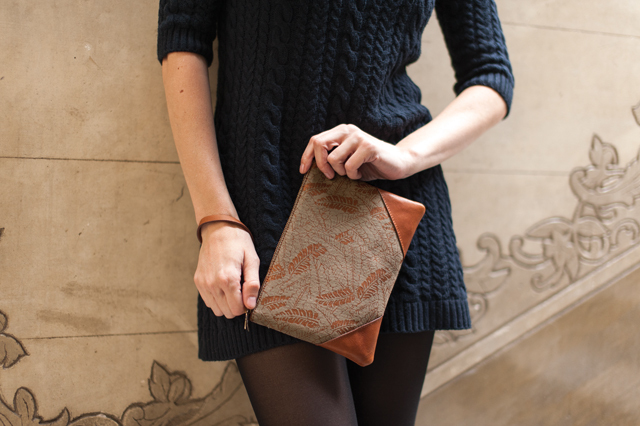 Patrushka brought out the textures and richness of the BiniChic Bags, while also capturing the beautiful building in Barcelona in which they were shot. 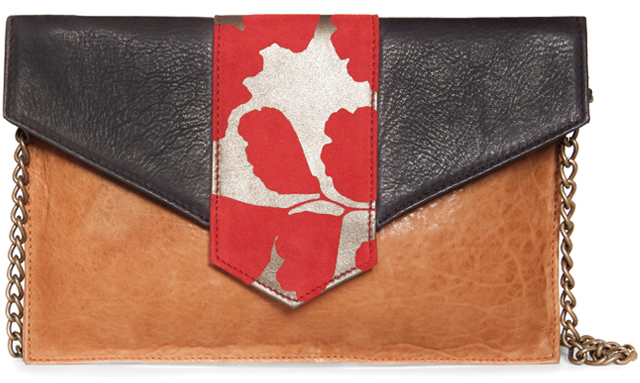 After the leathers are printed, they are sewn by expert craftsmen. We take great pride in the high quality of our product, and make sure that only experienced artisans create our BiniChic bags. 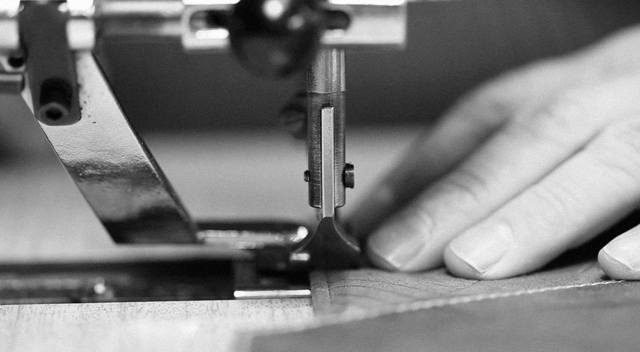 Each piece is made with great care and attention to detail. We found the vintage oak leaf that hangs next to our BiniChic tag while shopping at the Marché aux Puces in Paris. We fell in love with it and decided to have it cast and add it as a charm to each BiniChic bag. 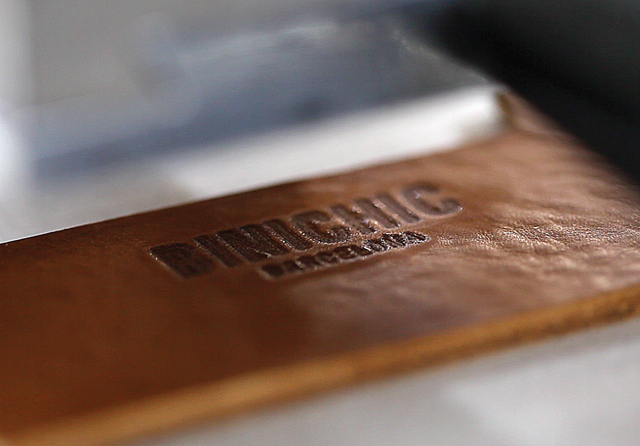 The BiniChic bags are conceived and produced to last a lifetime. The natural leathers will acquire a patina with use and time, which will give each bag its own character. If you’d like to acquire your own BiniChic Bag, please visit our online store. If you’re in New York from the 19th to the 23rd of September, please come by Teich in the West Village (22 8th Ave — at 12th Street). We’d love to meet you at the cocktail party we’ll be hosting on the 19th from 5:00 – 8:00 pm. This entry was posted in Uncategorized and tagged accessories, architecture, artisan, barcelona, binichic, boutique, design, fashion, graphic, history, inspiration, Mediterranean, Menorca, product, Susan Unger, textile, vintage. Bookmark the permalink. So glad to hear you like them, Vidya! Congratulations Susan and Ona! The BiniChic Bags are beautiful! Thanks your for your kind words, Jonette! BiniChic <3 you! 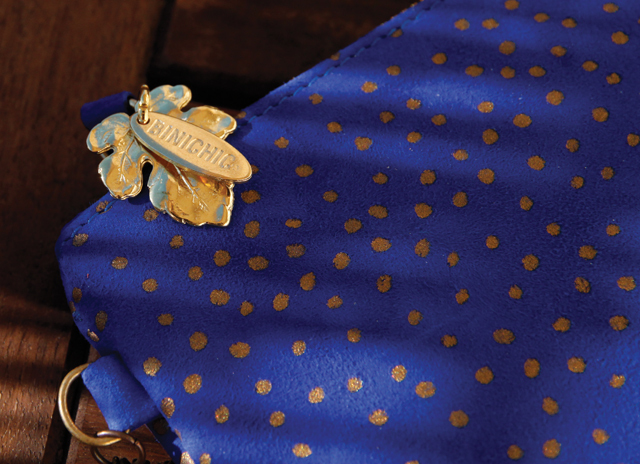 BiniChic bags are exquisite, artistic and will be a classic for a life time. My problem? Which one of the gorgeous and luxurious bags should I choose? Thank you for your support and kind words, Sheila! La espera ha merecido la pena! No esperaba menos de vosotras pero, no por ello ha dejado de ser una bellísima sorpresa. Gracias Cuca por tu apoyo y feedback!